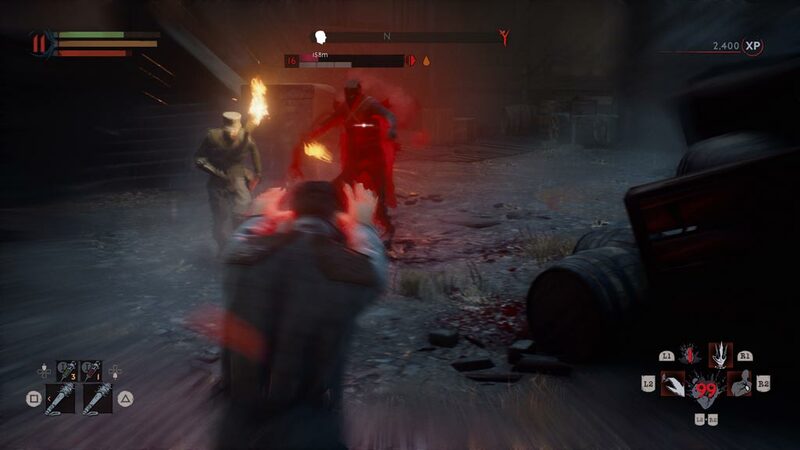 Vampyr is an action-RPG game designed almost perfectly to break a mold. 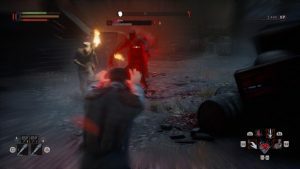 From the developers behind Life Is Strange, the game takes place in London plagued by the spread of a mysterious disease after World War I. Tying together post-war Europe, the mysticism of the occult, and the bloody state of health care of the time, Vampyr strides proudly in the middle of these three elements. 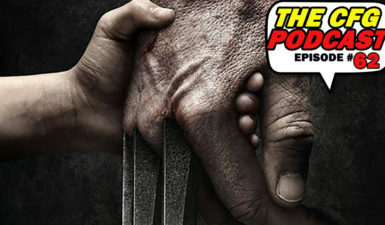 As a newborn vampire, Dr. Jonathan Reid must fight his dual natures as a beast haunting his domain and the person most likely to cure the disease. Dr. Reid can be best described as a cutting edge organ transplant surgeon, examining patients and situations in a way the residents of Pembroke hospital are unfamiliar with. As a vampire, his views on happenstance and mystery are likewise different from what the locals may see. Your choices and investigation will uniquely shape the locale’s health and livelihood. The story of Vampyr starts off foggy and misty as you stumble through the short term memory loss of how Dr. Reid became a vampire. From this start your journey rapidly takes you from a hospital to the depths of the slums to learn more of his vampire origins as well as the source for this flu-based nightmare. Occultist shadow organizations and unruly medical staff alike will stymie progress and encourage further exploration. 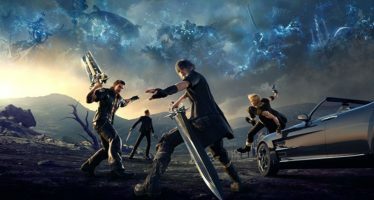 Gameplay takes two main forms: interrogations of citizens and RPG-influenced combat. Like a real doctor, Dr. Reid often will find solutions to a person’s problems through questioning or giving into vampiric demands on less cooperative persons. Almost as frequently as performing your duties as a doctor, combat with thrall of the night, roving bands of citizens with guns, and werewolves is common and often. The combat system is equal parts conventional weaponry to bludgeon your enemies, while vampiric powers are used to deal alternate forms of damage like blood spire traps or just plain rough-kissing a neck like a traditional vampire. With Vampyr‘s mix of genres, comparisons are apt between existing properties. Comparisons to existing franchises would be best drawn between LA Noire‘s interrogations and Bloodborne‘s quick-wit combat and macabre setting. There’s also the Fallout or Mass Effect inspired dialogue trees with consequences with the capacity to turn a citizen into a tasty EXP gain at a cost to the sanity of a region. 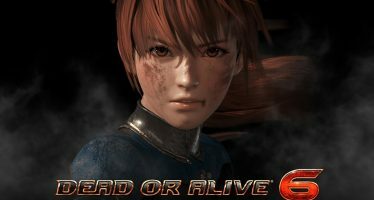 Meanwhile, combat is very inline with The Surge or Ni-Oh, with a heavy emphasis on fast dodges and exhausting your enemy to punish them. Vampyr‘s dialogue and setting are very anchored in post-WWI Europe to a fault. In an attempt to mime realism, medical knowledge and misinformation is accurate to what Europe post-WWI would know. At the same time that Semmelweis’ hygiene regimen is being introduced to the medical world, adult citizens are being taught not to cough on people. Accents of citizens range from West Londoner to Cockney-drawl to various European or Indian accents, a welcome touch. Music is an almost absent aspect of the game with just somber cello and oboe performances to punctuate the tone of the world. Often times your only companion through the streets of a sickly city are the lilting instruments softly drumming up the experience of an important dialogue choice or a chance meeting with something otherworldly. 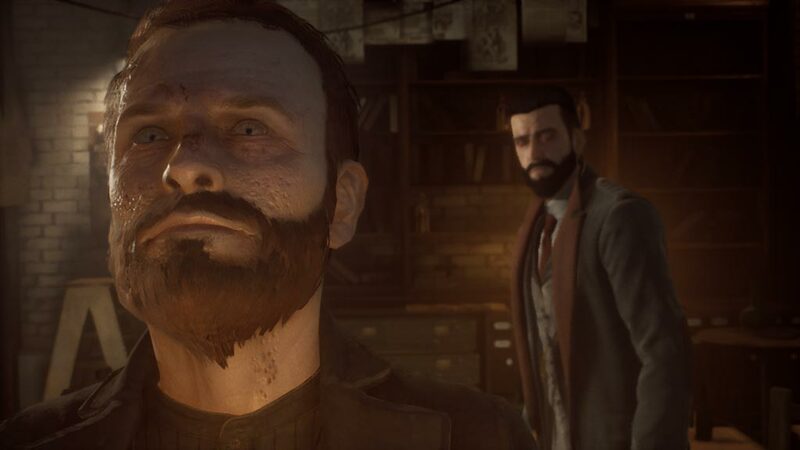 The dark and dangerous world of Vampyr is best described as otherworldly. 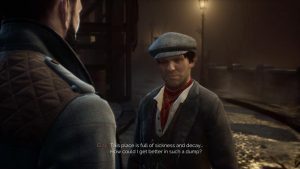 Moody fog or an especially emotional drizzle is common in Vampyr. Streets are poorly illuminated, to your own and Dr. Reid’s dismay. Unusually, dialogue scenes show off a visible layer of post-processing on the scene, making details in the background shimmery or fuzzy at times. This post-processing feels distracting but ultimately not a detriment. 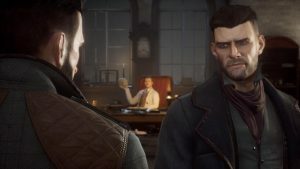 Ultimately, Vampyr is a step through a mirror of Europe’s past – not a true mirror of the world, but an occultist look. DONTNOD Entertainment’s work to chisel out a new series fresh from prior work is refreshing and promising. 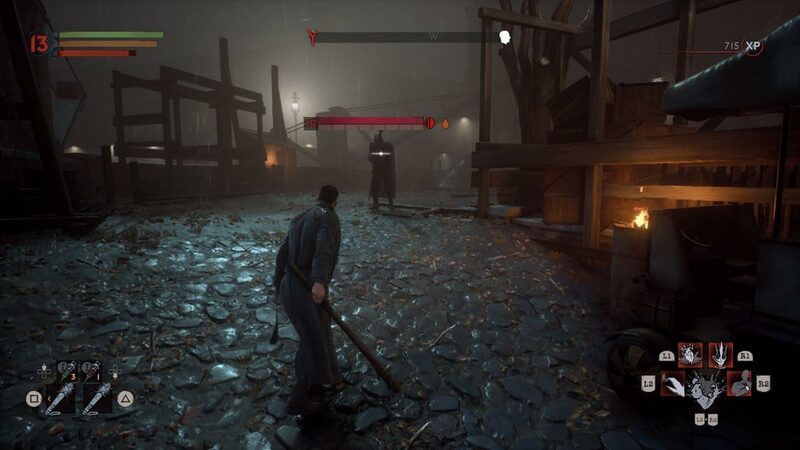 With engaging combat variations and a mostly-realistic world to explore and help/harm, Vampyr feels like a good continuation of the work laid by western RPGs to interrogate and prod at a problem until you unravel the issue. 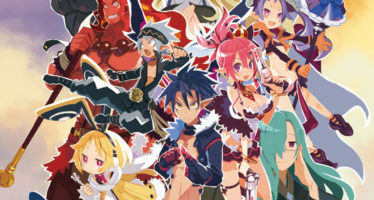 Overall, a healthy and fun experience that steps outside of the realm of indie and AAA titles. Barring a few foibles and crashes, a genuinely good experience, once you see it as an RPG first and a Bloodborne analogue second.